From the State’s annual Skyworks on Australia Day to the many small events around WA, everyone loves firework displays. Fireworks are dangerous (they can kill people) and are classified as explosives. This means that only licensed, trained, experienced and competent operators are allowed to conduct firework displays. The Department administers the Dangerous Goods Safety (Explosives) Regulations 2007 and the use of fireworks comes within the ambit of these regulations. A fireworks event permit needs to be issued for each public fireworks display. Before a permit is issued, the fireworks contractor needs permission from the local police, Department of Fire and Emergency Services, local government authority, owner of the land, Civil Aviation Safety Authority and possibly other authorities if the display is over navigable waters. 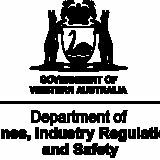 The Department assesses the applications to ensure they comply with its Safe use of outdoor fireworks in Western Australia – code of practice and the legislation. It needs to be satisfied that the display will be conducted in a safe and secure manner before issuing a permit. in 1999. In 2017, the Skyworks display was cancelled after a fatal plane crash into the Swan River during afternoon celebrations prior to the event. More than 12 months of planning goes into organising an event on the scale of the Skyworks. There are 40 organisations involved with the event, ranging from local councils to the WA Police, Department of Fire and Emergency Services, Swan River Trust, Department of Transport (Marines and Harbours) and St John Ambulance. 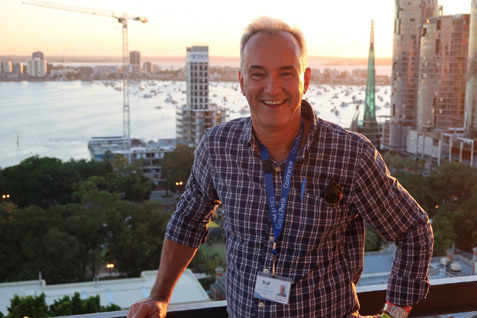 Throughout the year, the Department attends meetings held by the City of Perth. The Department looks at what is proposed and confirms any differences from previous years do not compromise safety. The onus is on the fireworks contractor or event organiser to prove they can be used safely. A camp is set up on the northern side of Heirisson Island, where the barges are loaded with fireworks. 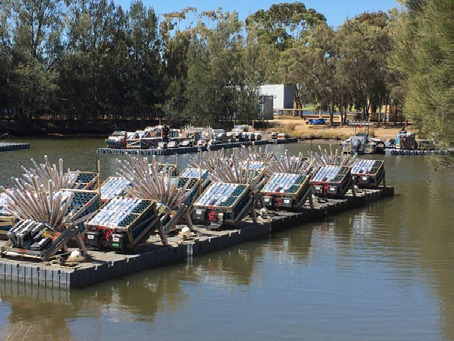 There were 19 barges in the 2019 display. It takes a week for the barges to be loaded, yet the entire event is fired in 30 minutes. On the morning of the display, the barges are towed to the firing points. This year, 12 barges formed a circle in the middle of the river, with the rest lined up either side of the circle. This provided a different effect for the display. Approximately 10,000 kilograms of aerial shells, ground pieces and close proximity fireworks were used in 2019. All fireworks are electrically fired and around 12,000 electric igniters were used to set up the display. Electric initiation enables large numbers of pieces to be simultaneously fired over large distances. It also allows the operator to be positioned remotely, keeping them at a safe distance from the fireworks. For the Skyworks, the operator is positioned at a distance and a height giving them an uninterrupted view of the display. This vantage point enables the operator to observe potential problems, and take immediate action to mitigate them. Electric initiation also enables precision in timing the fireworks. This is essential when the entire event is choreographed to music. The aim is that the firework explodes to the beat of the music, so an aerial shell is fired several seconds before the beat it is required to explode at. This is calculated on the time taken by the shells to fly to their exploding height. The firing times and choreography are preprogrammed. Once the operator hits the firing button, the display will begin following the program unless there is an incident, in which case the operator can over-ride the system and immediately stop the show, or isolate a barge or certain types of fireworks or sizes of pieces. There are two fire boats roaming near the barges to put out any spot fires. The Department has been working with the operator to reduce the amount of combustible packaging and materials associated with the fireworks. The Skyworks are held in mid-summer and conditions are often hot and windy and conducive to fires. The Department wants to see the elimination of the cardboard and tissue paper packaging that comes with ground pieces to reduce the chance of fires. Perth Water is an ideal place to stage a very large fireworks event. The river between the city and South Perth is broad with many large parks and cleared spaces along its edges for people to watch the display safely from the shore, or from up in Kings Park overlooking the river.